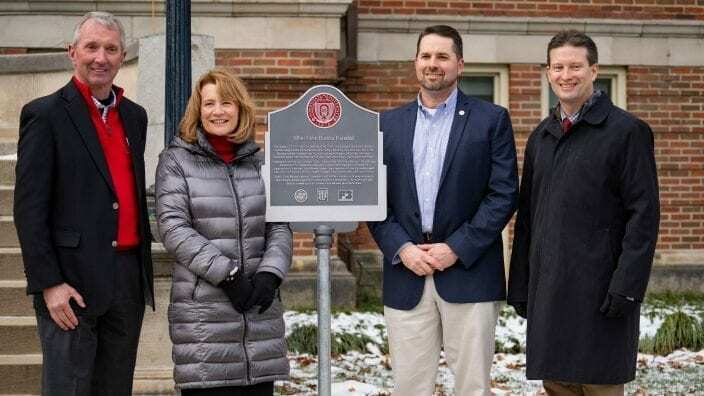 A historical marker commemorating the 100th anniversary of the founding of the Ohio Farm Bureau Federation is now on display on the campus of The Ohio State University. 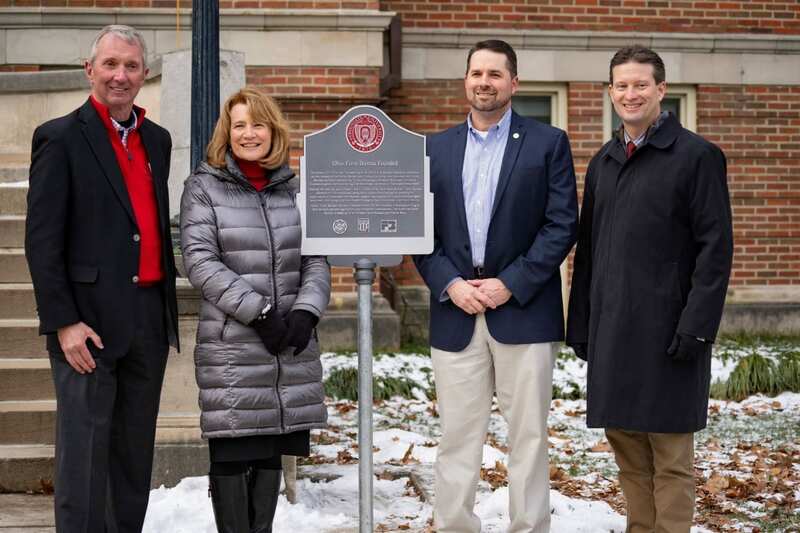 The plaque is located outside Jennings Hall, the former Botany and Zoology building, where in 1919 representatives of 76 county Farm Bureaus, with the assistance of university and county Extension leaders, established the organization. Also on hand was Ohio Sen. Bob Peterson, also a former Ohio Farm Bureau president. He presented a proclamation from the Ohio Senate recognizing the achievements of Ohio’s largest farm organization over the past century. Proclamations were also given by the Ohio House of Representatives and on behalf of U.S. Congressman Steve Stivers and the Ohio delegation of the U.S. House of Representatives. Speakers at the ceremony to unveil the Farm Bureau centennial plaque at Ohio State University were (from left) Brent Porteus, former OFBF president and current Ohio State trustee and Nationwide director; Cathann Kress, Ohio State vice president for agricultural administration and dean, College of Food, Agricultural and Environmental Sciences; Frank Burkett III, president of Ohio Farm Bureau and Adam Sharp, executive vice president, Ohio Farm Bureau.